Widely acknowledged as an important, if highly controversial, figure in contemporary literature, French novelist and poet Michel Houellebecq has elicited diverse critical responses. In this book, Carole Sweeney examines his novels as a response to the advance of neoliberalism into all areas of affective human life. This historicizing study argues that le monde houellebecquien is an 'atomised society' of banal quotidian alienation populated by quietly resentful men who are the botched subjects of late-capitalism. 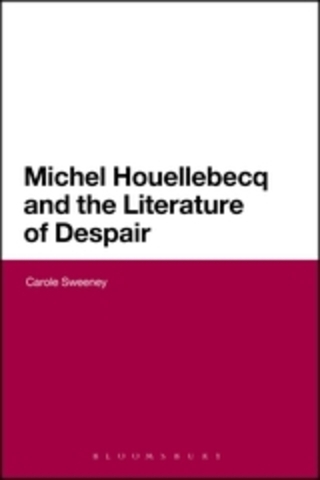 Addressing Houellebecq's handling of the 'failure' of the radical thought of '68, Sweeney looks at the ways in which his fiction treats feminism, the decline of religion and the family, as well as the obsolescence of French 'theory' and the Satrean notion of 'engaged' literature. 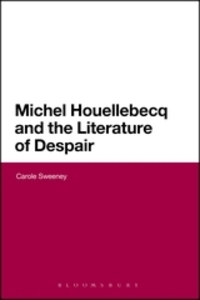 Offering a series of close readings of the novels, this book considers the quasi-sociological aesthetics of Houellebecq's writing with its anti-psychologism and rejection of poststructuralist textuality. Reading the world with the disappointed idealism of a contemporary moralist, his novels, Sweeney argues, fluctuate between despair for the world as it is and a limp utopian hope for a post- humanity. - 3. The Third Spirit of Capitalism?